So, paradise on earth actually does exist. No kidding! 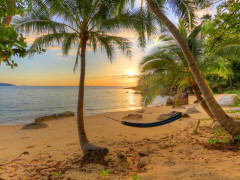 It?s called Bedarra Island, and you?re going to want to go there. Here's why. Unlike other tropical locales that have been overrun by mammoth resorts, Bedarra Island accommodates maximum 16 people at the time. 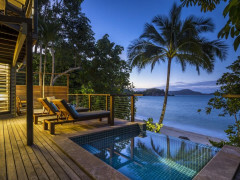 Each of the eight villas on the island are hidden amongst 45 hectares of lush tropical rainforest? so you?re guaranteed seclusion and privacy. We know what you?re thinking right now you rascal and, ahem, yes that does make it the perfect place to go for a romantic weekend away. What Makes The Bedarra Island Experience Special? 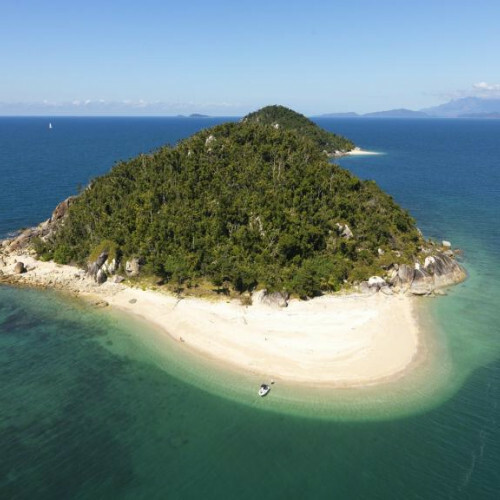 You can have candlelit dinners for two on your own private beach, or pack a gourmet hamper and go by dinghy to one of the nearby deserted islands for a romantic and completely private picnic. Romance or not, there are numerous activities to enjoy at Bedarra. After all, it?s off the coast of Australia?s phenomenal Great Barrier Reef! There?s kayaking, paddle boarding, snorkelling, fishing, tennis? and the best activity of all, relaxing. Bedarra resort prides itself on sustainability and having minimal impact on the environment, so you can feel good about being there in every possible way. Though with crystal blue waters, lush tropical palms, elegantly decked out luxury villas and the tranquillity of nature all around, you?ll feel more than good ? you?ll feel like you never want to leave!